Check with Debra for exact time of recital. Help us celebrate National Honey Bee Day. Contestants will compete by performing the "flight of the bumblebee" on their instrument. See flyer for more detail. This class will cover key signatures, scales, time signatures, rhythm, and sight-reading strategies. See flyer on classes webpage for more details. Please check with Cyndy for details. 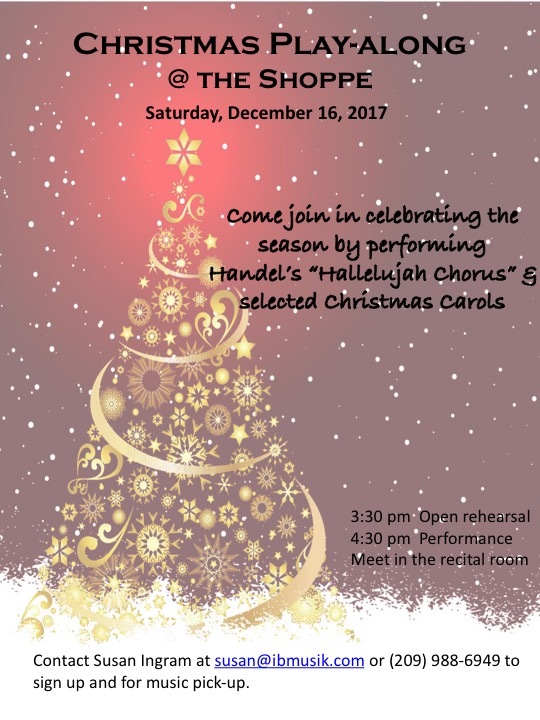 All are welcome to join in on a one-day event to celebrate the season. Special performance by student string quartet.